I have always been fascinated with India and the thought of hippie- era travelers wandering endlessly through this enchanting land. What would it be like to travel through the center of spiritualism, through a land that has held tight to its traditions instead of trying to emulate the West, and in a place known to spark inner awakenings in people? 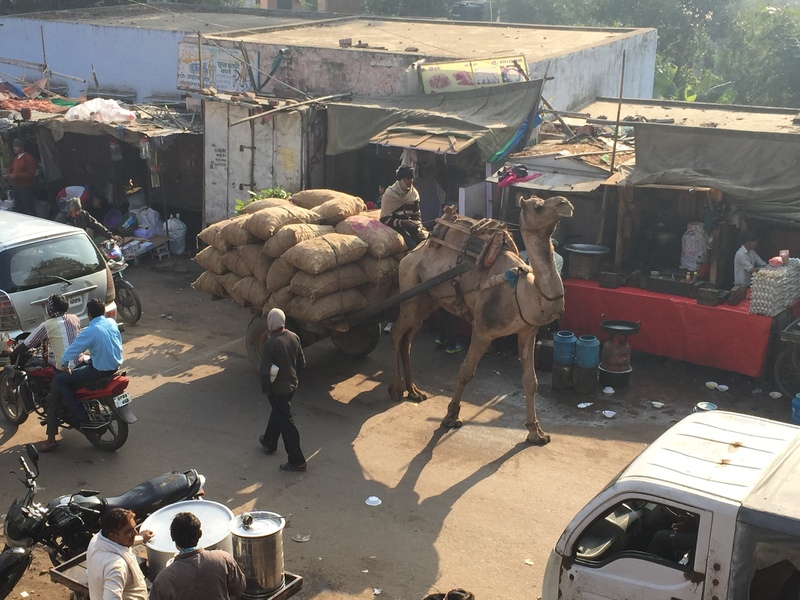 In India, just a walk down the street is no simple feat as the senses are bombarded with every step. An explosion of colors—brightly dyed textiles hanging in shops, orange marigolds once hung from doors trampled into the asphalt, rainbows of fresh vegetables and ground spices, and beautifully decorated temples—infiltrates the eyes. 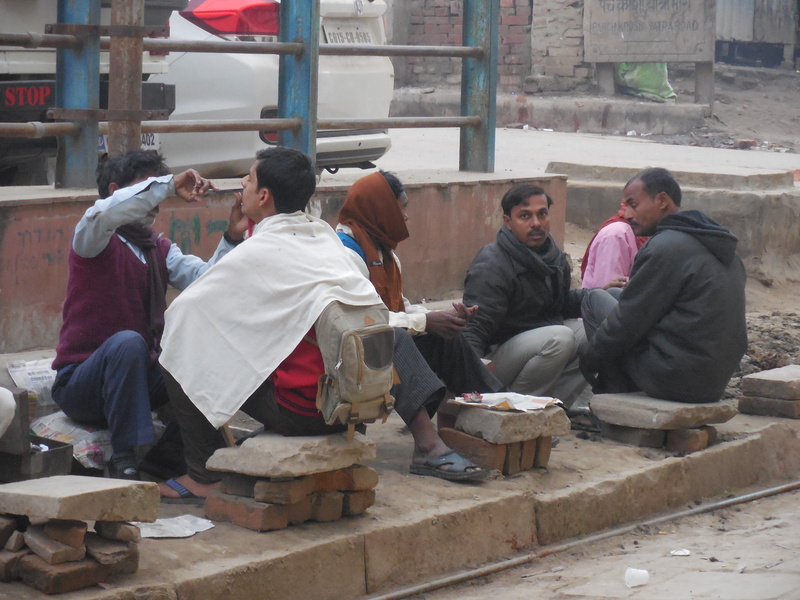 The sweet aroma of fried jalebi and spiced masala tea mingles in the air with the smell of livestock and burning trash. The constant blare of car horns overpowers the ears, but has no luck drowning out the sharp ring of the temple’s cleansing bell or the sounds of musical chanting. An array of spices that electrify the taste buds with every bite are cooked into all kinds of culinary delights that can be tasted on every street corner. India isn’t a place to visit; it’s a place to experience. Chaos is unavoidable in the overcrowded and often dirty streets of both large cities and small towns. Camel and horse- drawn carts plod along while the cars, trucks, and tuktuks zoom by bicycles, cows, and pedestrians, who often have no other choice than to walk in the road. 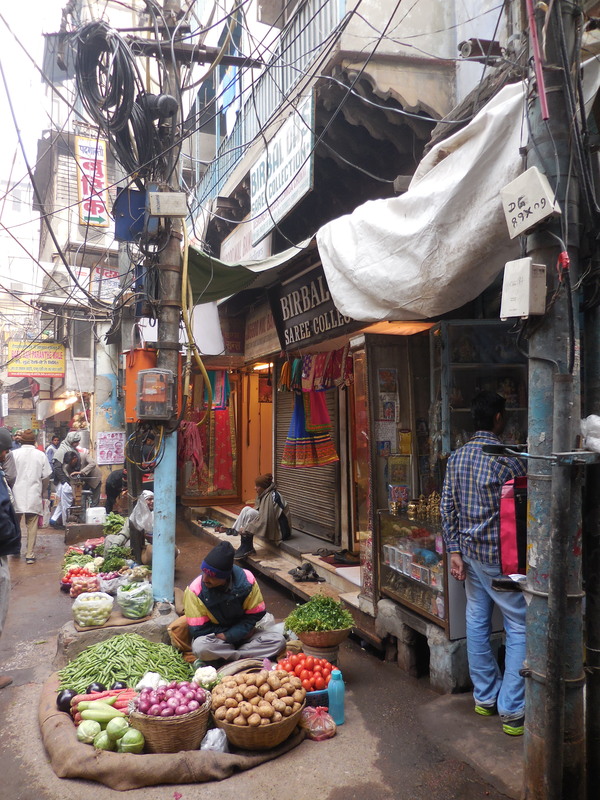 Vendors sell their wares along a street in Old Delhi. 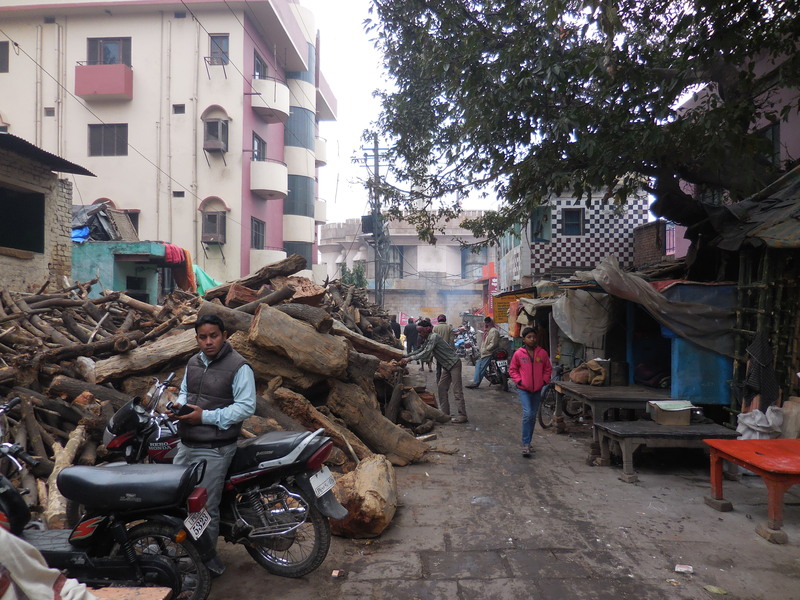 The tangle of wires above them are not defunct; electricians in Delhi know perfectly well where each one leads. A man gets his mustache trimmed at one of the makeshift barbershops set up on the sidewalk, which are commonplace in Indian streets. Small shrines, sometimes built into walls in public places, are common throughout India. Ganesh, one of the most widely worshiped of the millions of Hindu gods, is also commonly found in household shrines. 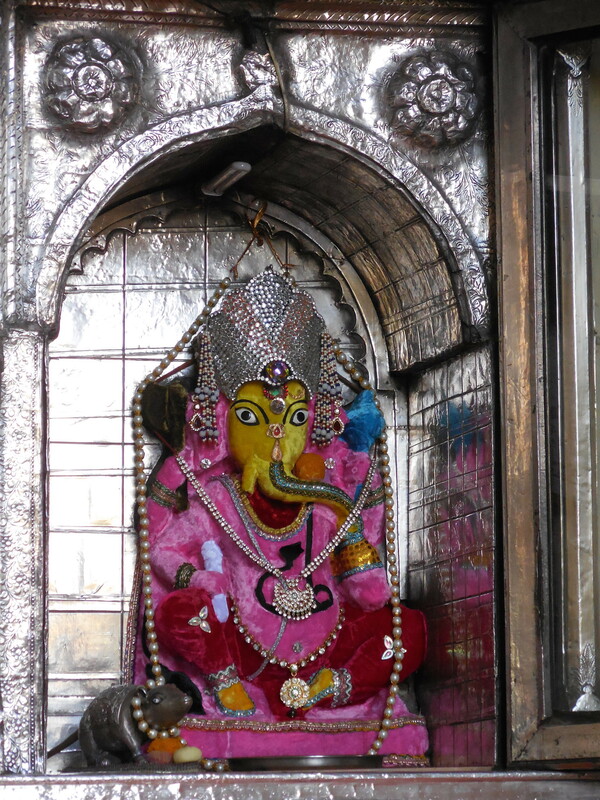 This elephant-headed god is said to bring good luck to his devotees. Varanasi, considered the spiritual capital of India, is situated directly on the banks of the holy Ganga River. The old part of the city is a winding labyrinth of enclosed streets that lead out to the ghats, a series of steps that run along the riverbank. This particular street, lined with wood for the cremations, leads to one of the smaller burning ghats, were Hindu believers bring their deceased loved ones to be cleansed one last time in the river’s holy water and cremated in open air fires along the banks of the Ganga. Flowers are used all over India for both decoration and worship. Mari- golds are popular because of their rich orange hue, given the saffron color is sacred in Hinduism. 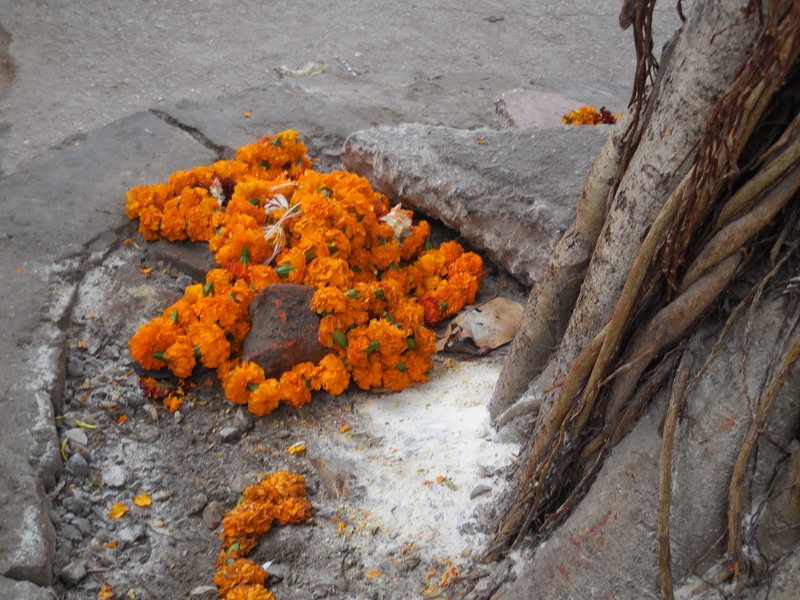 These flowers were left at the base of a tree outside a Hindu temple. Indian weddings are large gatherings, celebrated by many extended family members and friends, and tradition- ally can last up to eight days. This wedding was condensed into a couple days, with the American bride arriv- ing just days before the ceremony to shop for her wedding lehenga and sari. The lehenga is traditionally red, a color said to bring good luck, and is embellished with rhinestones, making this dress weigh almost 20 pounds. 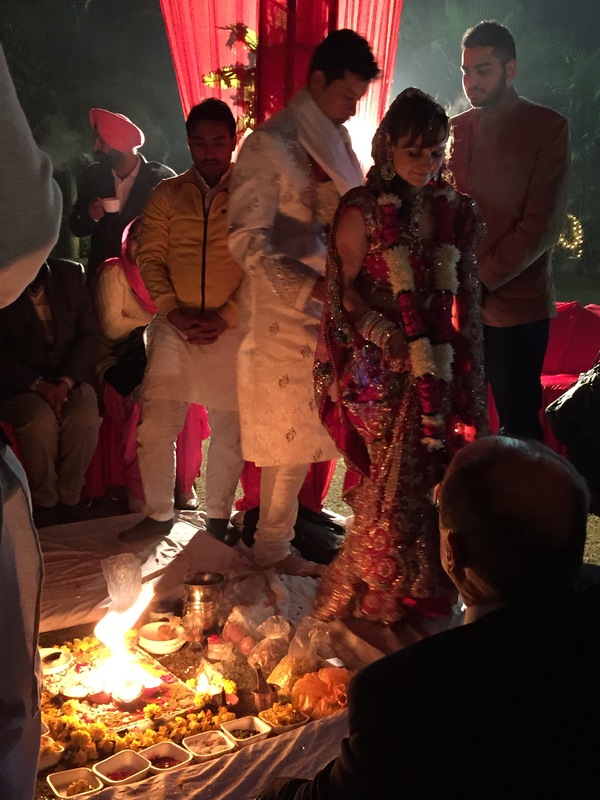 The main ceremony involved rituals, offerings to the Hindu gods, and an exchange of wedding vows in front of friends and family. 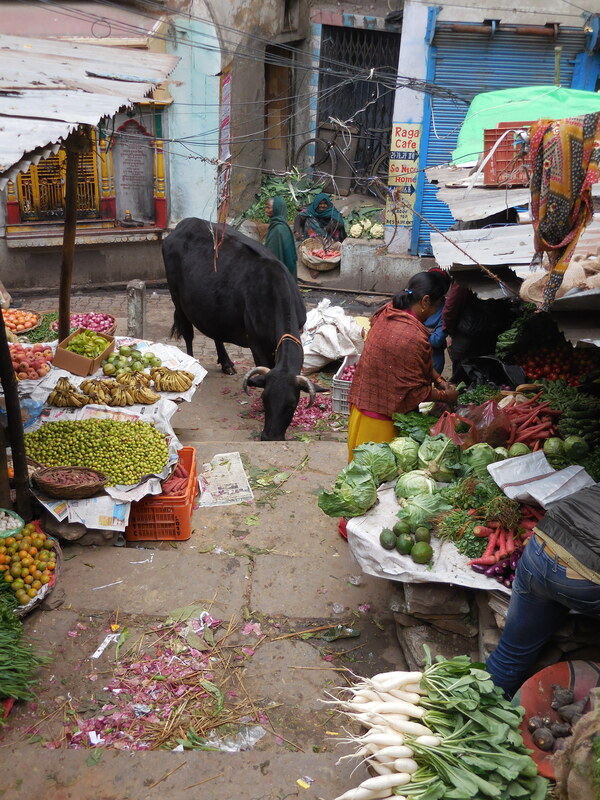 Regarded as holy creatures, cows wander the streets freely and seem to fit right into the bustle of daily life. In some towns, shop owners feed the cows sugary sweets: other times cows can be seen feasting on trash. This particular cow seems to be looking for a healthy snack, but if it tries to eat off the vegetable stands it will quickly be shooed away, so it better stick to the discarded morsels on the ground..
Rajasthan, also known as the Land of Kings, is home to the Thar Desert. 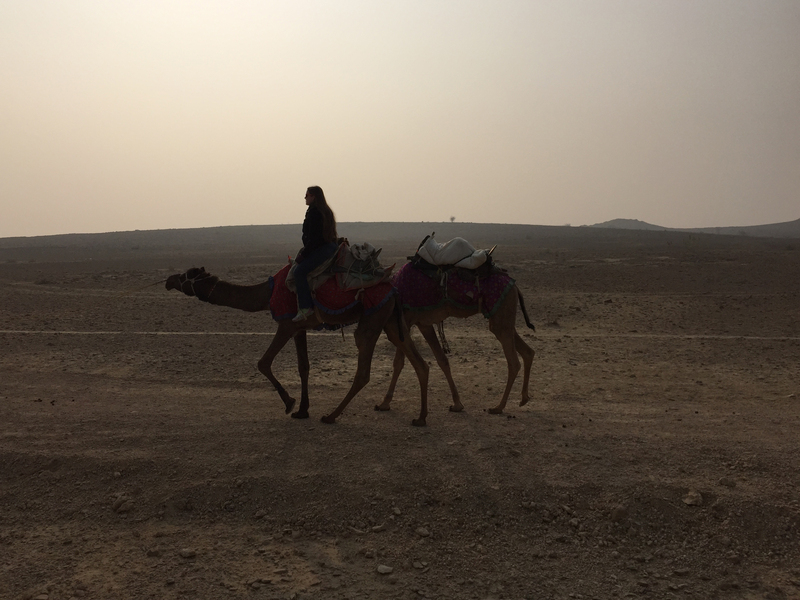 Trekking out into the barren desert with camels, I was lucky to spend a night sleeping under the stars, eating around the campfire, and living life—if only for a moment—as a nomad.